While Sean Spicer continues to look for his next gig, the former White House press secretary might want to spruce up his dancing skills. 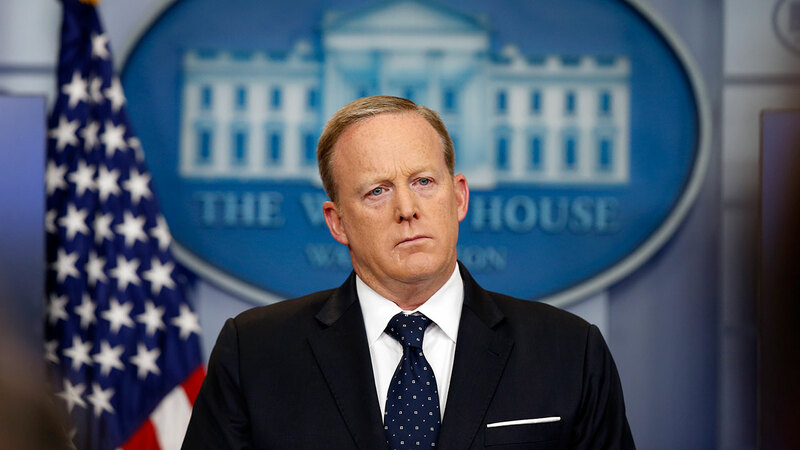 Spicer abruptly resigned his position on July 21, 2017 after six months on the job amid the hiring of new White House communications director Anthony Scaramucci. So what's next for Spicer? Rumors have been floating around that ABC's "Dancing with the Stars" might be interested in Spicer joining the show. So while he may have danced around some reporter questions doing the many press conferences on Capitol Hill, he might soon be showing off his waltz. If Spicer ends up on DWTS, he wouldn't be the first politician to compete on the show. Former Texas governor and current Energy secretary Rick Perry danced his way off the stage after he was voted off in the second week last year. And former majority leader of the House of Representatives Tom DeLay competed during season nine in 2009. So, who will put on their dancing shoes? Stay tuned for the official cast announcement on September 5, 2017.